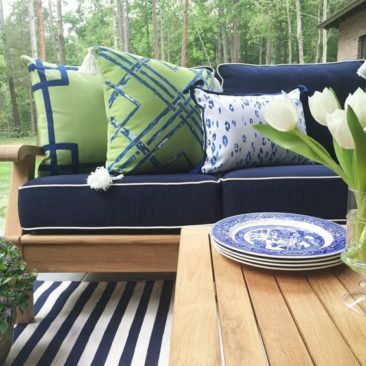 Pillows, bedding and knick-knacks are fun but you need key staple pieces that really anchor the room so I’m beyond happy to report that if that is what you are in the market for, look no further than The New Items at The Well Appointed House. 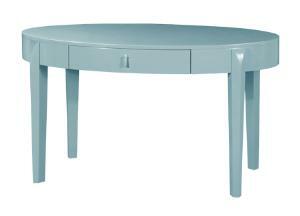 This Brigitte circular desk is a contemporary piece that evokes a mod feeling. 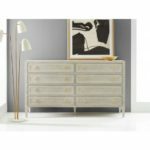 Available in the lacquer aqua shown or a high gloss white and gray, this piece could easily have been in Julianne Moore’s room in A Single Man. 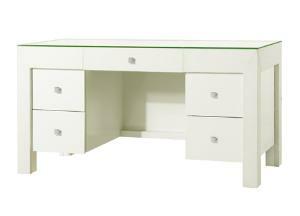 I’m not a huge fan of furniture sets, however there is no denying that this Brigitte dresser would look amazing paired with the desk. 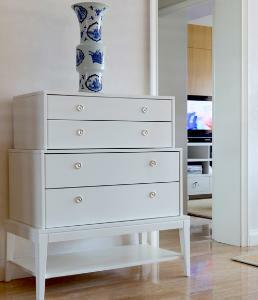 It avoids looking overly matchy-matchy with the curves of the dresser and the square drawers in the center. If it’s still too much of a coordinating set for you either the white or the gray finish would look super chic paired together. Living in the city storage is a tricky thing and often I feel like there is a serious lack of stylish storage systems that don’t obviously show off that you are storing sweaters in your kitchen. One of the reasons I love this display cabinet is because you can easily sneak some clothing in the two pull out drawers and save the rest of the cascading shelves for books, DVDs, magazines, flowers and some other keepsake boxes. The same could be said for this Piedmont dresser. 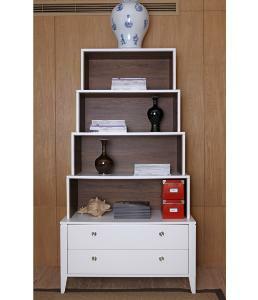 Although billed as a bedroom piece, the bottom shelf saves this piece from looking exclusively boudouir. You could easily put a TV on top, keep your DVDs below and clothes in the middle! It also works nicely with the display cabinet above. Another example of coordinating sets that work is the Valentina series. 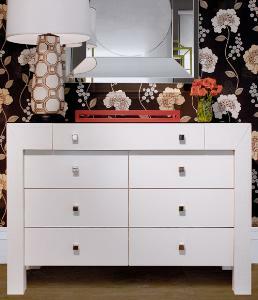 The desk and the dresser both feature inverted draws, a bright white lacquer finish, chrome square knobs and a mirrored top. 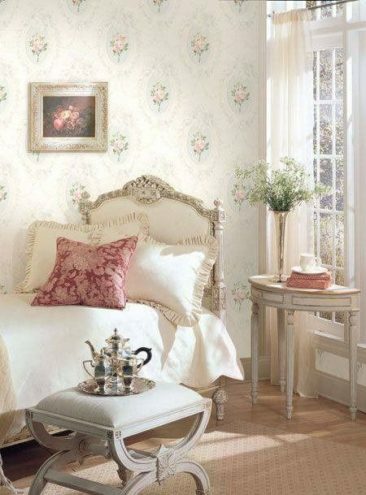 Great for a chic bedroom that also needs to be functional. 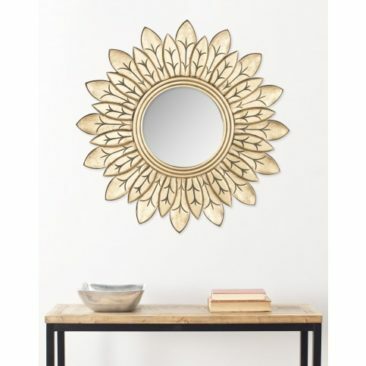 This swoon-worthy Phillip mirrored desk is modern, chic and still possesses a timeless sensibility that will keep this investment piece relevant for years to come. 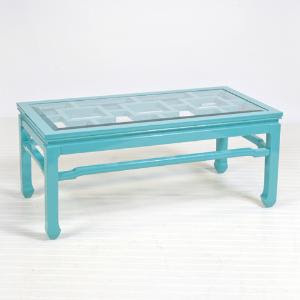 Add some color to your space with this turquoise Changright coffee table. 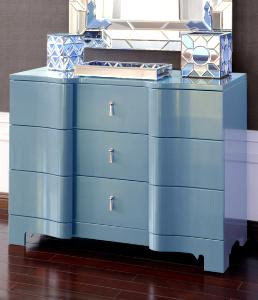 The pale turquoise features a greek key design covered by a glass topper. 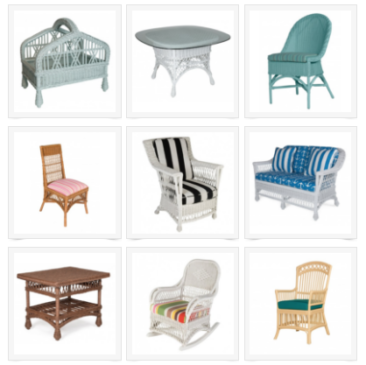 Would look great in a beach house with comfy white sofas or a country home with coordinating toile and check accents. Although not exactly a staple piece of every room, this solid walnut four panel room screen is a statement piece that anchors any room perfectly. 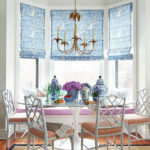 The allusion to a Greek key motif makes this piece read modern with just a hint of vintage flair. 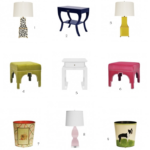 See all these great new products and more at The Well Appointed House! 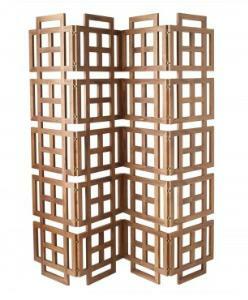 This furniture is gorgeous! LOVE it all! You have the most beautiful pieces. I love the screen….I’m so into graphic prints now!